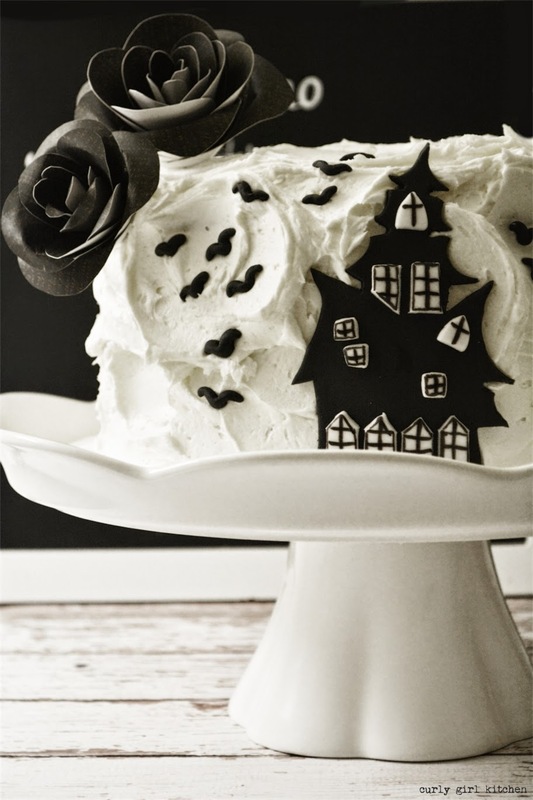 The starkness of this black and white haunted house cake is what I love about it. It's eerie and spooky (count 13 birds) but also elegant in its simplicity. 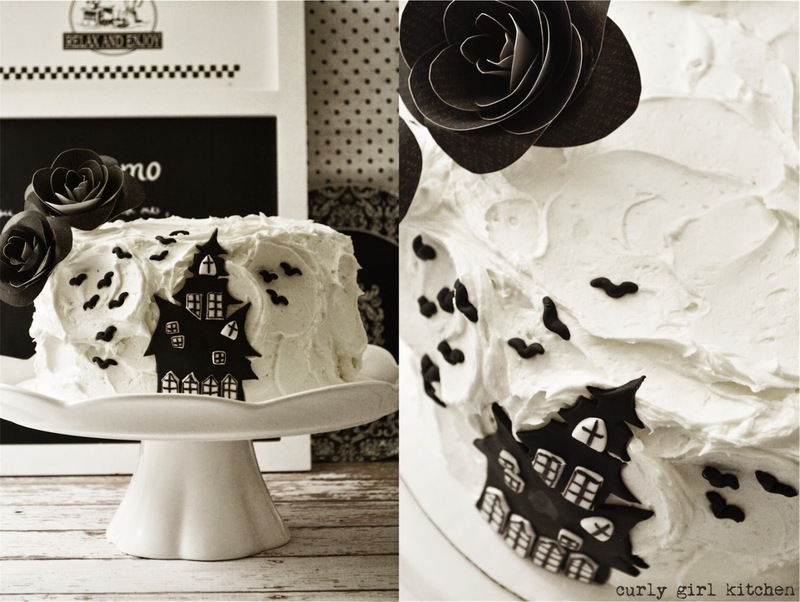 I very nearly didn't make a Halloween cake this year, with the busyness of getting the condo ready to sell and all that, but when I got home from work yesterday, I realized that making a Halloween cake is a tradition I want to continue every year if I can. 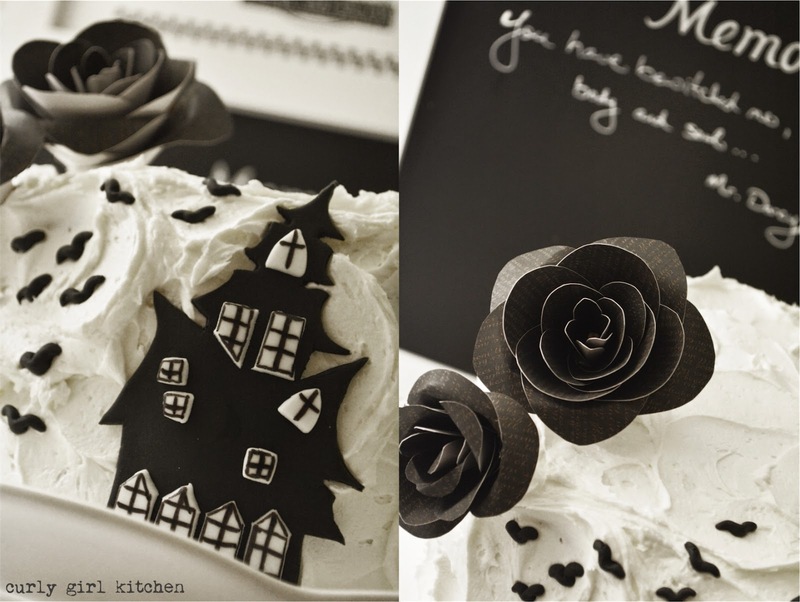 All in the same evening, I sketched my design and cut out a paper template to trace onto fondant, baked the cake, whipped the buttercream, made the black paper roses, and decorated the cake. 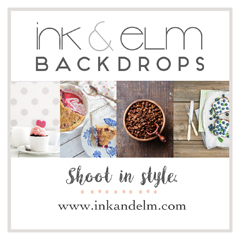 Not to mention photographed it, edited the photos, and created a blog post, which may be the fastest turnaround from recipe to blog post that I've ever managed. I'm just saying, though, that this was a really simple cake design that even a beginner with fondant could create. Just print a silhouette image of a haunted house that you like, then trace it onto card stock and cut it out. Lay it on black fondant and cut out the fondant with a knife. Then just stick on little white (or yellow) squares of fondant for windows and draw a few details with edible marker, and you're done with your house. And if your house doesn't look perfect, don't worry - haunted houses are supposed to look a little wonky. For the birds, just roll small bits of fondant between your fingers, then shape into birds (I used the pointed end of a chopstick to help bend the fondant into bird shapes). Frost the cake with simple swirls of buttercream and press the house against the side. 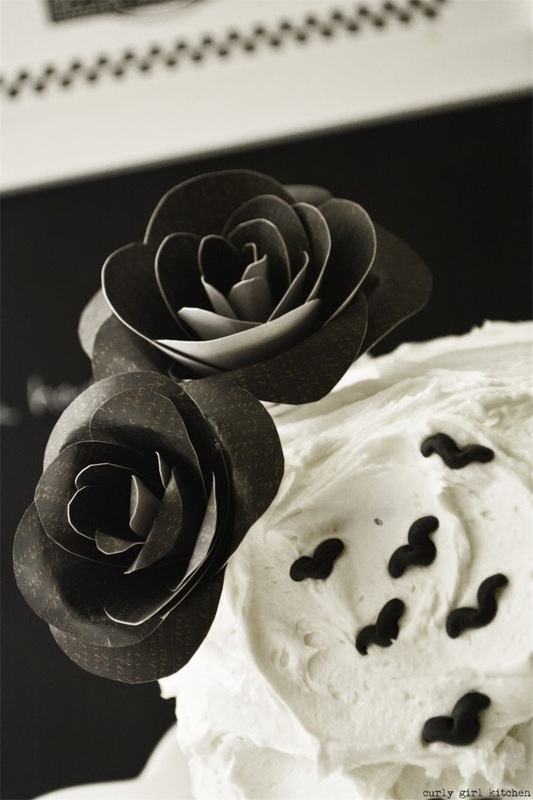 The paper roses add a special touch, and I love that they're also black. 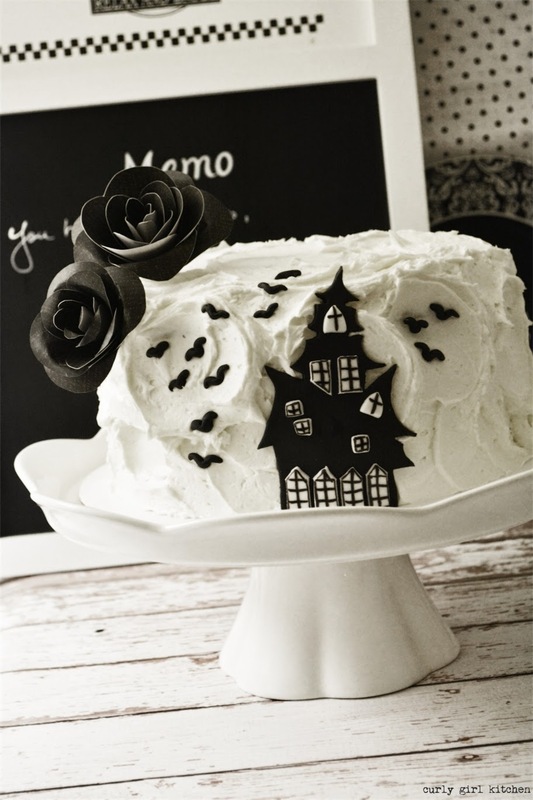 It's a little Gothic, while still pretty and elegant for a Halloween party.